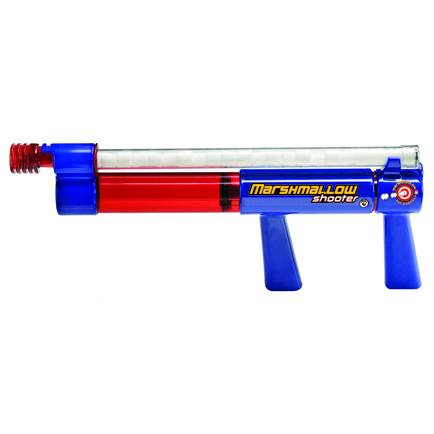 This clever, pump-action device fires miniature marshmallows approximately 30 feet on a line. 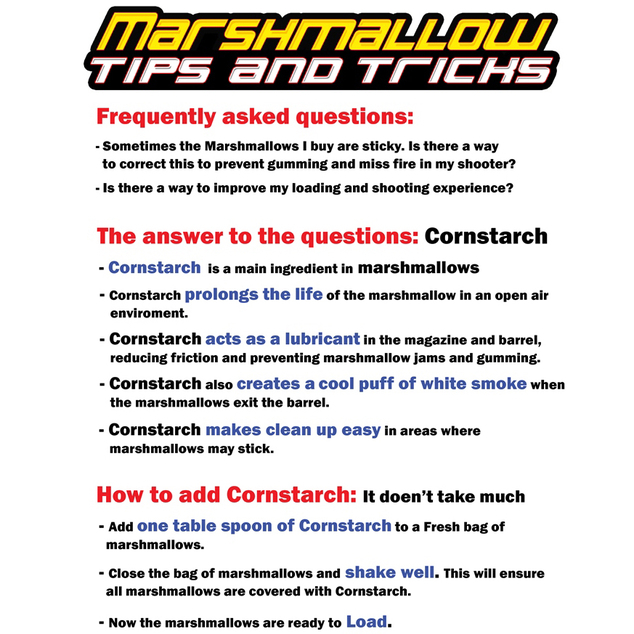 The easy-to-fill and refill magazine holds 25 marshmallows and is top-rack, dishwasher safe to clean. Designed with kids in mind, the Marshmallow Shooter is fun for ages 6+ and provides a soft, hearty laugh on impact. Join the party and pass the marshmallows, it’s time to battle hard and play soft!